Bentonite Clay is known as the “healing clay” with its ability to pull out toxins from the skin and body. To be taken externally only for a therapeutic and detoxifying effect. Bentonite clay has been used for centuries to aid with detoxifying the body and is known as the “healing clay”. It is helpful for reducing dietary and environmental toxins, supporting the immune system, and helping to remove fluoride from drinking water. 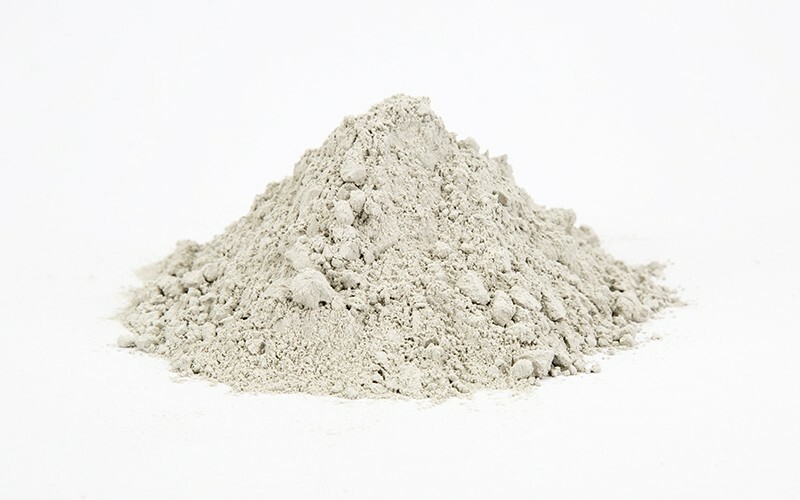 Bentonite clay can be used internally or externally. It has an alkalising and detoxifying effect on the body as it actively draws out toxins from the body and is often used on the skin as a mask for face and body and is also used internally to relieve gastrointestinal problems and cleanse the GI tract. Every day we are exposed to a large range of toxins from products like paint, cleaning supplies, substances used in building homes, low quality unpurified water, pollution and pesticides on our food. “Heavy metal toxins” usually refer to substances like mercury, cadmium, lead, and benzene. These can be found in the products previously mentioned, and also in foods that contain high fructose corn syrup or certain types of fish. Bentonite clay benefits your body by helping to expel many of these toxins and therefore increases immunity and reduces inflammation. Bentonite clay helps the body because it has the ability to produce a charge that is electrical in nature when it comes in contact with liquid. When the clay touches any type of fluid (normally water) it takes on a different charge and is thought to bind to any present toxins within the fluid. While bentonite clay naturally has negatively charged electrons intact, most toxins and heavy metals have positively charged electrons. This allows the two to bind together easily and stay united while the toxin removal process happens. Bentonite clay essentially “seeks” toxins in the body to bind with because naturally any substance that has a missing ion (which gives it its “charge”) looks for oppositely charged types of substances that will make it complete. The clay then binds to these toxins, and is then able to help remove toxins, chemicals, impurities, and heavy metals from the gut, skin, and mouth that it is bound to and away from the body. As well as being able to draw-out toxins from the body, the clay has a large range of nutrients. Bentonite clay is known to have an abundance of minerals including calcium, magnesium, silica, sodium, copper, iron, and potassium. When ingested either in a drink form or by eating the clay, its vitamins and minerals are absorbed similarly to how a supplement would be. Therefore some people use it as a supplement since the clay is a natural source of important dietary nutrients. Pretty cool stuff hey? So if you want to detox your body or skin Bentonite is fantastic! Internally or externally let the healing power of Bentonite help you detox your way back to good health.